KUALA LUMPUR: Property developer Mah Sing Group Bhd is eyeing government-related projects to help achieve its aim of RM5 billion in market capitalisation in five years. With its track record and healthy financial standing, the company is optimistic of being able to work with the government especially in the 1,200 hectares of Rubber Research Institute Malaysia land in Sungai Buloh and the old Sungai Besi airport land, which is slated to be transformed into Bandar Malaysia. Mah Sing's current market value stands at RM2.2 billion, having expanded tenfold from just RM189 million in 2005. "Being a healthy company with a good track record and strong financial position, we believe the group definitely stands a good chance in these projects," managing director Tan Sri Leong Hoy Kum said after its annual general meeting yesterday. "Mah Sing is very keen to participate in these projects via joint venture or land acquisition," he added. To date, the group has 34 ongoing projects in the Klang Valley, Penang and Johor Baru, which yield a combined remaining gross development value and unbilled sales of RM14 billion between five and seven years. Halfway into year 2011, the group has already achieved close to 60 per cent of this year's sales target of RM1.15 billion. Mah Sing reported a higher net profit at RM41.2 million from RM28 million before for the first quarter ended March 31 2011. Revenue was 31 per cent higher at RM311.8 million. Its shares closed 1 sen higher yesterday to RM2.61 with a volume of 393,700 shares. Research firm Macquarie Equities Research has forecast that Mah Sing's earnings will grow at a compounded annual rate of 54 per cent for the financial years 2011 until 2013. Meanwhile, Leong expects the positive sentiment in the property market to continue, riding on the favourable employment conditions and stable economic growth. "It is a good time to buy properties now in view of the rising construction cost environment as buyers can lock in current property prices and enjoy borrowing rates, which are still very reasonable," he said. Other factors that will help to drive the property sector include high impact projects like the MRT (mass rapid transit), young population base, high saving rates and affordable homes. KUALA LUMPUR: Mah Sing Group Bhd will continue to acquire prime land and enter into joint ventures in future, to further boost its expansion strategy. Managing director Tan Sri Leong Hoy Kum said the group was keen on both privately held and government land that could be developed as it had the track record, experience, branding and financial capacity to unlock and enhance the value. “This year should be another good year, particularly for developers with a knack for creative product development and market strategies, among others. “The mid to high-end residential segment in well-established locations should continue to thrive together with the mass housing market, echoing the Government's call to provide affordable housing,” he told reporters after Mah Sing's AGM here yesterday. To date, the group has a total of 34 projects, all in Greater KL (Kuala Lumpur and Klang Valley), Penang and Johor Bharu, which yield a combined remaining gross development value (GDV) and unbilled sales of approximately RM14bil to last for five to seven years. Leong also expected the positive sentiment for the property market to continue, riding on the favourable employment conditions and stable economic growth. “It is a good time to buy properties now in view of the rising construction cost environment as buyers can lock in current property prices and enjoy borrowing rates, which are still very reasonable. “Buyers should consider the developer's track record in terms of product delivery, quality, service and potential upside of the property,” he said. He added that the group would maintain its focus on the local property market for its expansion plan. For the first quarter ended March 31, Mah Sing reported a net profit and revenue of RM41.2mil and RM311.8mil respectively. “We surpassed our shareholders' expectations last year and are working hard on achieving another good year in 2011 with more launches coming up in the second half,” Leong said. Macquarie Equities Research, the latest research firm to have initiated coverage of the group, had forecast Mah Sing' earnings to grow at a compound annual growth rate of 54% over financial years 2011-2013. In order to provide continuous value enhancement to shareholders, the group was aiming for a RM5bil market capitalisation within five years, from its present RM2.2bil. The Australian apartment market is bucking a softening trend of the overall housing market, especially in Sydney. SYDNEY: Tighter government regulations introduced by some Asian countries to cool sizzling house prices are contributing to higher demand for new apartments in Australia, property services firm CB Richard Ellis said. Capital growth for Sydney apartment units rose 3% in the year to May, while houses eked out only a 0.1% gain, according to research firm PRData-Rismark. “The government tightening measures broadly across Asia are increasing the amount of interest in Australian properties,” Darien Bradshaw, executive director for CBRE's international project marketing in Asia, told Reuters yesterday. Last year, Singapore introduced a new rule to cool property prices under which owners of Housing and Development Board (HDB) flats, or government-subsidised apartments, must stay in the property for five years before they can buy a second property. The Chinese government has also introduced a series of new regulations including a home ownership tax to deter real estate speculation. He also said young couples who plan to raise more than one child are keen to own houses overseas, adding the targeted price range for Australian assets for Asian investors is anywhere between A$400,000 (US$430,000) and A$1,000,000. “They've always got on the back of their mind ... where the second child may reside and live and be educated,” he said. To capture the growing appetite for overseas assets among Asian investors, CBRE is casting wide. Its sales teams in Hong Kong, Singapore, Kuala Lumpur and Shanghai, conducted a synchronised launch over a series of weekends to market a high-rise residential project in Chatswood, Sydney, called Metro Residences. The efforts paid off with all 292 units offered in the first phase sold out in the first weekend in March. 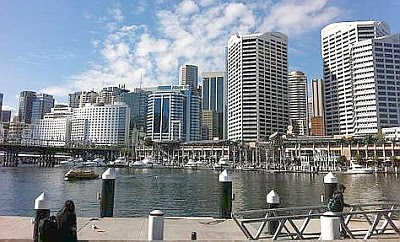 Some Australian developers are positioning themselves for the Asian market. Private property developer Meriton Group, headed by Australian billionaire Harry Triguboff, said it would develop in excess of 1,500 apartments in the next 12 months, compared with 1,000 units in the last year as demand from Chinese investors keeps growing. “Chinese mainland residents have shown strong interest in our residential apartments with demand increasing every week,” James Sialepis, Meriton's national sales and marketing manager, said via an email. He said 15% of Meriton's weekly sales were made to overseas Chinese, although the percentage was much higher if they include local Chinese buyers. “Locations within a 15 km radius of the CBD that are serviced by good transport and educational facilities are in most demand,” he said. PETALING JAYA: Sunway Real Estate Investment Trust Bhd (SunREIT) expects to almost double the value of The Putra Place following an asset enhancement. The Putra Place, to be renamed Sunway Putra Place, was bought via auction by OSK Trustee Bhd for RM513.95 million. Sunway Reit Management Sdn Bhd's chief executive officer Datuk Jeffrey Ng said the value of the property could be RM1 billion as a result of a capital expenditure of between RM100 million to RM200 million to enhance the property. "There will be additional retail space. After enhancement, the rental and occupancy rates will be more, in line with the market," Ng said. Knight Frank had valued the property at RM576 million. The Legend Hotel, that will be renamed Sunway Putra Hotel, enjoys an average occupancy of 60 per cent. The Mall, which will carry the name Sunway Putra Mall, has an occupancy rate of 80 per cent. The office, that will be renamed Sunway Putra Tower is fully occupied. Founder and chairman of Sunway Group Tan Sri Dr Jeffrey Cheah said it plans to bring back the glory that the property once had by upgrading the place to the standards associated with Bandar Sunway. It could take anything between six months to a year to plan the upgrade and rebranding of the building. Cheah was speaking at a briefing yesterday to clarify and explain the status of ownership of the Putra Place. The Putra Place, which houses The Mall, an office complex, and the Legend Hotel, was auctioned off by Commerce International Merchant Bankers Bhd (CIMB) to recover loans given to property owner Metroplex Holdings Sdn Bhd. OSK Trustees won the bid at the fourth auction held since April 2008. Since then, there have been several parties including Metroplex which have initiated legal proceedings to block the sale. However, on Tuesday, the High Court ruled in favour of SunREIT, stating that it is the true owner of the property and gave Metroplex 72 hours to deliver possession and control of the asset. This means, that by noon today, SunREIT will move in as the new owner. Nevertheless, it is understood that Metroplex has filed a notice of appeal. Meanwhile, Cheah said he does not know the ex-owners of the building and it is merely a commercial deal. He doesn't have a personal agenda.